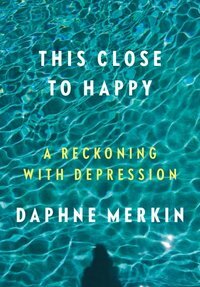 I just finished reading my 6th book of 2017—This Close to Happy: A Reckoning With Depression by Daphne Merkin. Looking at my list so far this year, I’ve read two novels and four nonfiction books. I’m getting in the mood for some southern fiction next, and have recently gotten interested (again) in Anne Rivers Siddons, probably because of Pat Conroy’s words about her in A Lowcountry Heart. I read a couple of her books many years ago, and now I’m thinking of reading one of her oldest books Heartbreak Hotel (1976), which is about growing up in the South in the 1950s. But I’ve also got a copy of The Girls of August. Maybe I’ll save that one for this summer. But for now, back to This Close to Happy. 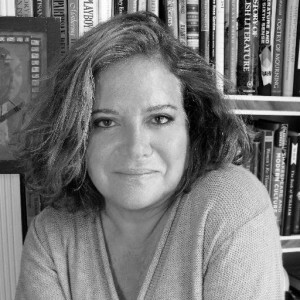 Daphne Merkin is an accomplished writer, with regular contributions to The New Yorker, Elle, The New York Times and other publications. Her novel Enchantment won the Edward Lewis Wallant Award for best novel on a Jewish Theme, and one of her two collections of essays was a New York Times Notable Book of the Year. Here’s an excellent review in the New York Times by Andrew Solomon. And here’s an interview on NPR. The opposite of depression is not a state of unimaginable happiness, but a state of relative all-right-ness. It is by now well documented that nonlinear creative types, artists and writers in particular, often suffer form depression; whole books have been devoted to exploring the high incidence of both unipolar depression and bipolar depression in this group. Anywhere you look, there they are, the unhappy poets and painters, drinking or drugging themselves into a stupor…. I can relate. When I’m actively (and successfully) working on a creative project, I experience a bit of a high. But as soon as the project is finished or I’m floundering with what to do next, depression creeps in. What does Merkin say life has to offer at these times? But perhaps I’ve all along underrated the pull of life itself, slyly offering up its enticements. I tend to give short shrift to these enticements when I’m sinking, but they are very real. They would include but are not limited to the supreme diversion of reading and the gratifications of friendship, the enveloping bond of motherhood and the solace to be found in small pleasures, such as an achy Neil Young son or finding the perfect oversized but not voluminous white shirt. The things in life that entice me might not be all the same things that pull Merkin back from the edge, although some are similar. She’s not a spiritual person (not even a religious Jew, and doesn’t believe in an after life) like I am, so there’s that. Even at my darkest moments, I would never consider suicide. Instead I cower emotionally at home with bags of potato chips and excessive amounts of vodka or wine. Reading Merkin’s book doesn’t fill me with hope (not her intention, she says) but gives me a feeling of community with others who suffer depression. Mine is extremely mild compared to hers, but she would be the first to tell me that it’s mine, and not to diminish it. So I give this book five stars. And I hope that Daphne Merkin has found a prolonged state of relative all-rightness. Actually, I’d love to picture her even closer to happy. Susan, your review was much more important to me than Andrew Solomon’s! Lest you think that is pander, or unnecessary flattering, you should know that it is your own assessment of your own depression as “mild” that got me. That’s how I would describe my depression. I am often hesitant to talk about depression because I don’t want to alarm my friends and family into thinking that I might be suicidal or completely unable to navigate. My go-to treatments are food and sleep. Thanks for the relevant, helpful review. That means a lot, Diana. Thanks, always, for reading! Sending you hugs for the dark times.